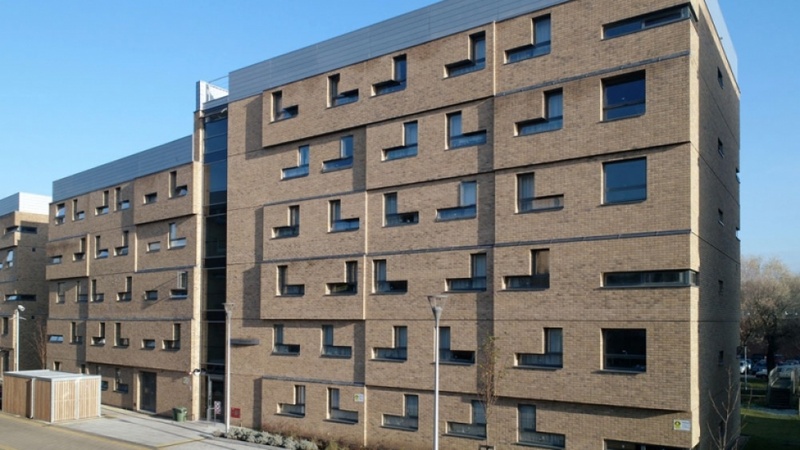 A University Campus project comprising 550 en-suite student bedrooms in clusters of up to 6 rooms linked to combined kitchen/living areas with an additional 30 high quality en-suite rooms for couples or conference delegates. Constructed in 6 separate blocks of varying heights with facilities at ground floor level for Reception, Laundry, Health Spa and new Arts Faculty. The building aesthetic includes stepped brick facades with elements of zinc cladding, the random geometry of upper floor windows creating a distinctive elevational treatment. 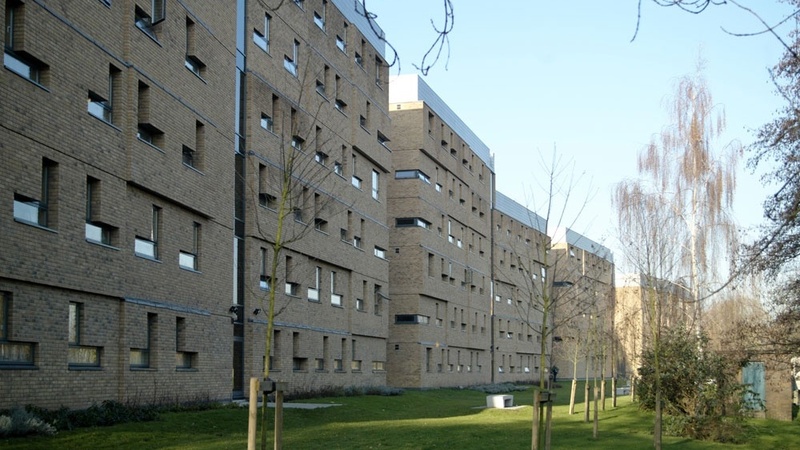 Morrison Design acted as design build architects for the appointed contractor, Bowmer & Kirkland (London) Limited. Architectural services were provided from and including Stage E based upon an initial concept prepared by Sheppard Robson.